Vigo contains some authentic art treasures including some exquisite historic churches. Chiesa Pievanale di San Martino, parish church since 1208 and rebuilt in 1559, conserves an authentic patrimony of art works from various historic periods: a tripych attributed to Antonio Rosso (1492), Valentino P. Besarel’s wooden altar piece (1866) and a great many works by local artist Tommaso Da Rin. 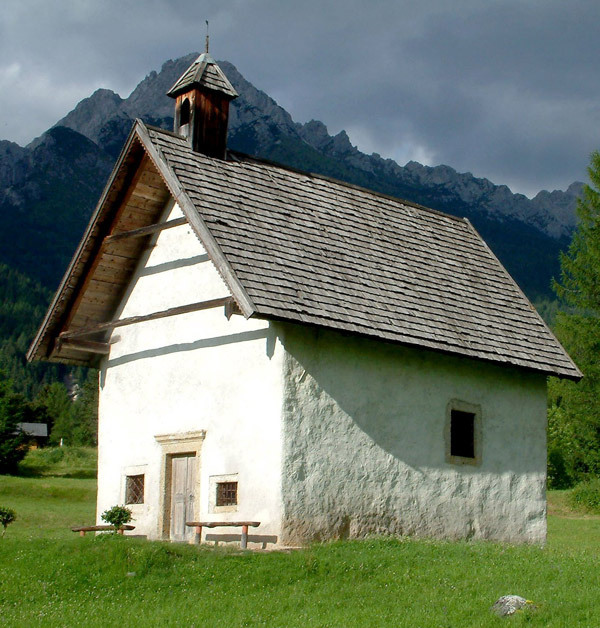 The interior of Cappella di Sant’Orsola conserves the most beautiful fresco cycle in the Dolomites. 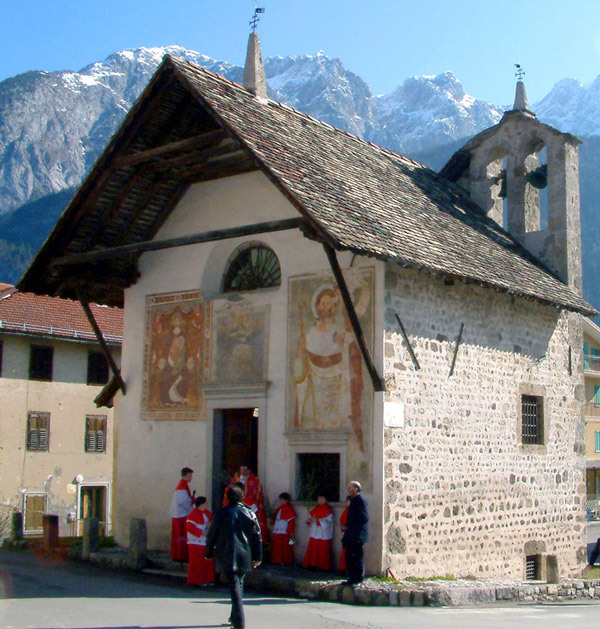 The frescoes make it a ‘miniature Scrovegni chapel’ and show that the Giotto revolution made its way into the Dolomites too. Dating to the 13th century and the oldest church in the valley, Santa Margherita in Salagona echoes the layout of the area’s early Christian churches. 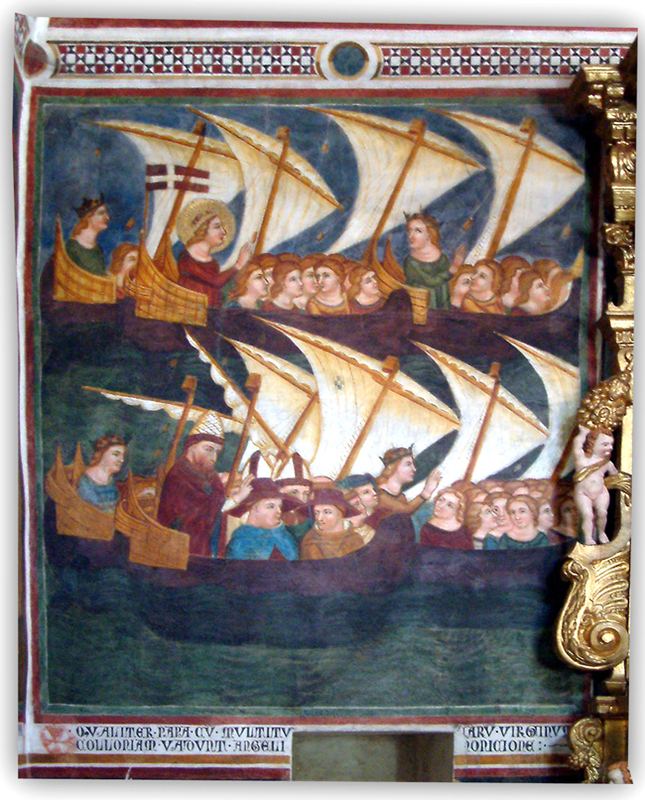 The painting cycle inside affords rare testimony of the movement from Byzantine to Gothic art in the Belluno area.